Black Forest Hut is a restaurant in Tagbilaran City where is the place to be for healthy and natural foodies. This place serves the sweet-style Filipino cooking. Why Black Forest Hut is special ? Black Forest Hut is a restaurant in Tagbilaran City. For those looking for the homemade, natural, European to get a bite to eat, then look no more. Black Forest Hut offers that. Their dish are freshly prepared so it's gonna take a little wait before munching out. For those used to the sweet-style Filipino cooking, don't be surprised when the food they serve tastes a little different. This snack bar strongly promotes cooking without artificial ingredients and breaking the rules of using too much sugar. Upon opening the menu, you'll find an explanation of that on the first page. Black Forest Hut is the place to be for healthy and natural foodies. How to get to Black Forest Hut? Black Forest Hut is situated near the Dauis junction on the main south highway in Tagbilaran. You can reach the place by hail a taxi or tricycle. The menu is a blend of European (mainly German) and Filipino cuisine, with a focus on healthy, fresh, homemade food. 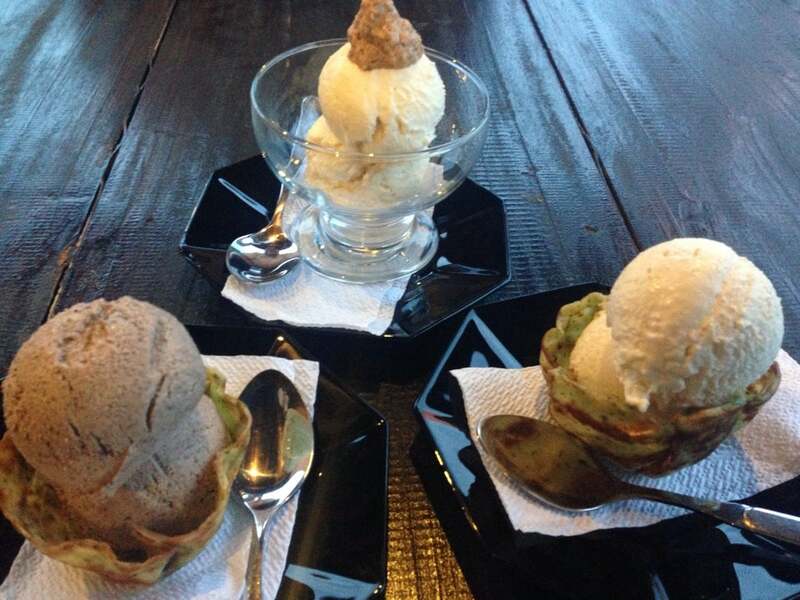 This restaurant is best known for their homemade ice cream with unique flavors. As recommended for the adventurous, Garlic and Spicy Chocolate is a must-try. The restaurant is quite small so it's lack the privacy for each table. The restaurant is strategically located along the main highway, at the junction going to Dauis and Panglao, so it's really easy to find. Right across the big Caltex station. The restaurant is small and situated near the Dauis junction on the main south highway in Tagbilaran. Klaus is the owner/chef and there is a very friendly atmosphere throughout. It is very good for single travellers, as well as couples due to the ease of striking up a conversation with your neighbouring table or indeed Klaus himself when he is not busy in the kitchen. The menu is part German, part fast food and part Filipino. Klaus cooks the food freshly and also has delicious German bread. My choice was chili con carne with bread which was served in a small bowl. The taste was good and my wife had the same but with rice and I think that is the better choice of the two. Great friendly service, small intimate restaurant, varied menu and easy parking. I will be back.